On a famous online community’s posting board, a post titled “Park Yoochun paper ad shoot” was revealed with writing and picture on the 26th. 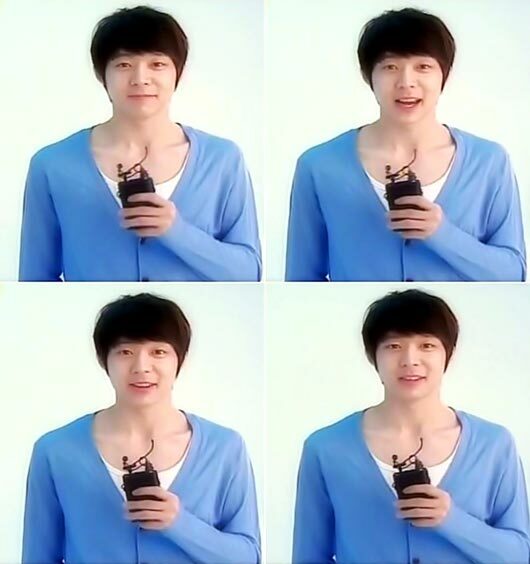 Park Yoochun is dressed casually, wearing a white t-shirt with a blue cardigan. However, having met his 90-degree shoulders, even a normal-looking outfit is shinning more than any other brand-name clothes. Furthermore, Yoochun’s boy-like bright smile is enough to melt a woman’s heart. Park Yoochun is currently shooting for MBC’s Mon-Tues drama “Ripley” set to air in May.